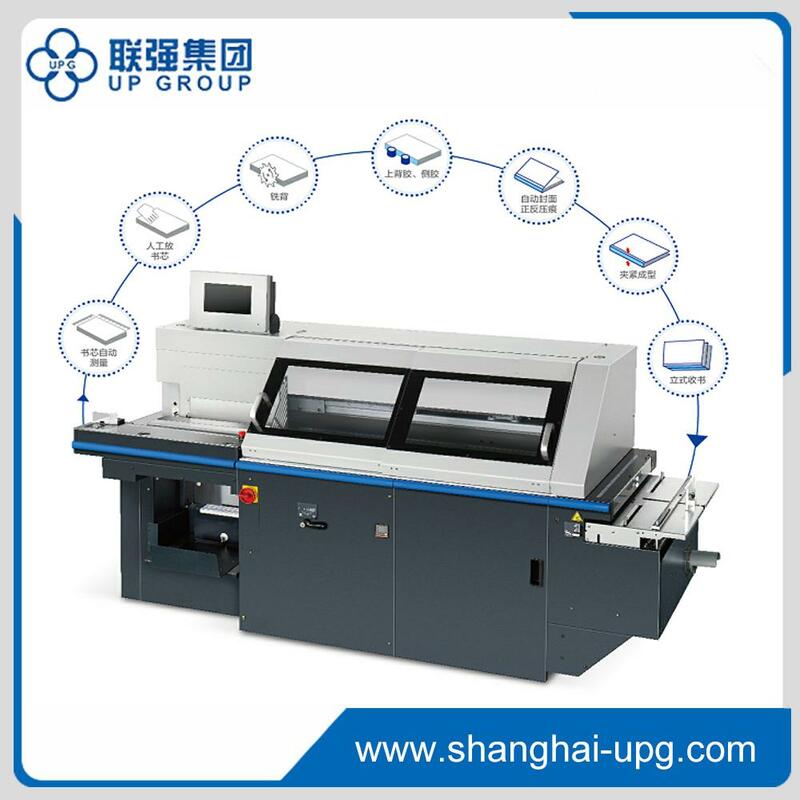 After the book block is automatically measured, the thickness data will be automatically transmitted to the book clamp, milling cutter, side glue part, cover creasing part, pressing part. l Suitable for 1-1000 multi-size, small quantity job. Max. Speed up to 500books/hour, working speed more than 400books/hour. Automatic creasing and side gluing, binding quality is good enough to compare with heavy duty binder. l User-friendly operation, high-precision automatic adjustment, energy saving and environmental protection. Best choice for digital printing job. 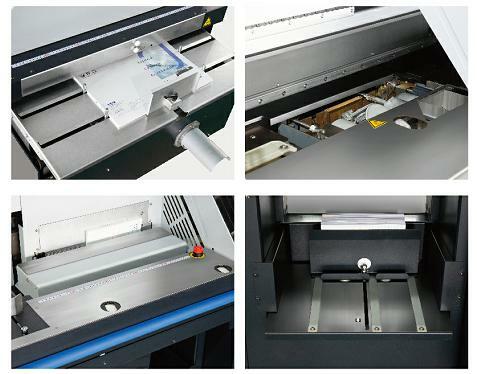 l Automatic measurement for book thickness, very convenient.